STAGES, a children’s theater workshop, is bringing its 19th Annual Halloween Bash Frankenstein Follies, a Halloween-themed musical revue. Sag Harbor, NY - October 18th, 2013 - STAGES, a children’s theater workshop, is bringing its 19th Annual Halloween Bash Frankenstein Follies, a Halloween-themed musical revue directed and choreographed by Helene Leonard back to Bay Street Theatre. 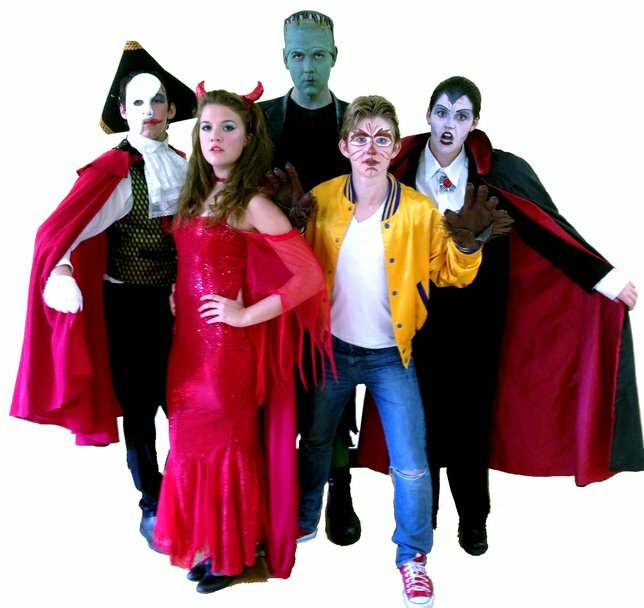 Frankenstein Follies will be performing on Friday, October 25at 7:30 p.m.; Saturday, October 26 at 2:00 p.m. and 7:30 p.m.; and Sunday, October 27 at 2 p.m. Tickets are $15, which include the show and the fun carnival bash immediately following the show. Seating is limited. Proceeds help support STAGES scholarship program. Frankenstein Follies features all your favorite monsters and ghouls with a cast of thirty-nine local young performers.There will be Halloween fun for young and old, including face painting, a "tattoo" parlor, a fortune teller, and a terrifyingly tasty treat bar for the scary sweet tooth in us all. For more information, please contact STAGES at 631-329-1420, by email, or online at www.stagesworkshop.org. For more information on Bay Street Theatre, or to purchase tickets for this event, call the Box Office at 631-725-9500 or log on to www.baystreet.org. A Grand Gala, Outdoor Fun, an Expo, News & More in February 22nd's Newsletter! Family Fun Days, Hot Happenings, News & More in April 26th's Newsletter! Subject: LongIsland.com - Your Name sent you Article details of "Stages Presents Frankenstein Follies - The Ghoulishly Fun Musical Revue At Bay Street Theatre"